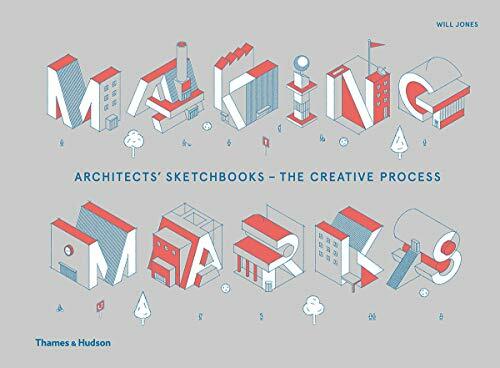 Making Marks: Architects' Sketchbooks is a huge 320-page hardcover that features the architecture sketches of 60 architects and artists. This is actually the second volume to the first which was published in 2011. In this book you get to look at the creative process of these visual thinkers. There's a huge variety of style to see. Plenty of sketches and the occasional photos of architecture models. Some sketches are incredibly loose, some are more refined. But all are on the exploration of ideas. Each architect has a short profile where they talk about their process and why they draw. They are interesting to read but too short unfortunately. This book should interest those looking for ideas and inspiration.